We have had too many business skills today. Every year, we have new business skills invented by someone else. But they comes and goes. 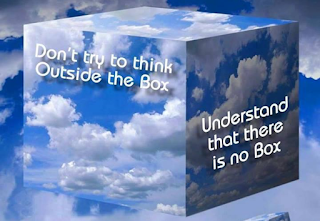 Think business senses! Are our thinking and decisions sensible? I am doing something completely new in yesterday's NLP Practitioner Business Excellence Module. I used the whole class to simulate and induce argument, confusion and frustration without anyone knowing in advance. I do this to illustrate and to make participants aware of one of the core concepts of NLP and Thinking - Frames. I can simply tell you those 14 Frames without doing this simulation. But you will not be aware of their importance. One can easily think that this is just another NLP skills. My intention is to faciliate at least part of our class to a higher level of awareness when one actually go through the process of argument, confusion and frustration. I think I had done the job as some of our classmates come to me after the class to express their deeper understanding. Then what is a Frame? Everybody unconsciously uses his/her own frame to see the world. He /she see only what is inside their frame and then draws his/her conclusion. This is so natural that we normally don't aware of the process. Frame is Beliefs/Values/Rules/Attitudes that guides our attention and perception. Frames limit our perceptions. We will not see anything outside our frames. When 2 or more people discuss, we all just see what we saw without seeing what others' seeing. Argument is the usual consequence. But when someone consciously adding more frames to the discussion, we see more through the added frames. I usually do this during our classes so that all the discussion can be happened smoothly. Today, I intentionally not to do so. When more people express their own views (through their own frames) without adding of new frames, confusion kicks in. If no intervention is initiated, we all frustrated. This happens everyday, everywhere. This also happens in our heads. We can only see things within our frame. This limited the information which causes confusion and then frustration. We are stuck. Then we give up thinking about that topic. The best way to be not stuck is having no frame. But this is impossible. Frames reduce the amount of information we need to handle. We can't live without frames. Our Belief/Value/Rule/ Attitude create and shape our frames. We can unstuck our communication and thinking simply by adding more frames, so that we can see more. Paradox? Yes. If there is no frame, we see everything. But we can't do so. If we have only 1 frame, we see the least. More frames, more we can see!!! "How will she feel when you do this?" is a frame you can add. But this is not a good frame. It is a Content Frame. It has content (She, Feel, You, Do...). A Content Frame can make us seeing more, but it itself can also delete, distort and generalize our perception. The 14 Frames I introduced today are Context Frame. They have no or least amount of content. For example, the Outcome Frame - "What is the purpose of doing this?" 'What do you want to achieve by doing this?" or the Contrast Frame - "What are the differences between doing X & Y?" These frames guide others (in communication) and ourselves (in thinking) to see more in more directions. This is our second way to achieve higher awareness apart from our 6x6 Points of View I mentioned in Module 2 this year. Many of our GA noticed I had changed the programe quite a lot this year. I had mentioned earlier this year that I will shift the whole NLP Practitioner Program to another level, a level of how we think. I had promised myself that if I can't do so, it's then be the right time for me to stop teaching NLP. If I can't have this breakthrough, it simply tells me that I am too stuck. BTW, I said earlier in this message that there are 4 core concepts of NLP (Traditional NLP). The 2 apparent ones are Filters and Strategies. the 2 less obvious ones are Frames and Meta-Model. I will write more about the above four concepts later. 66. You can't force anyone doing/thinking something, but you can persuade him/her or create an environment to make him/her do/think that something. 67. Even people ask for something, he/she might not really want it. 68. I am not my job, career or business. I am me. 69. When we have needs unmet, we can't see things clearly. 70. People are different, not bad! If you want to be Happy, you can do 2 things. Firstly, don't make yourself Unhappy. Then, make yourself Happy! You can't be Happy when you are Unhappy. So, if you are Unhappy, you can't seek Happpiness. It doesn't works. You must make yourself not Unhappy before getting Happiness. When you are not Unhappy, you are in a Neutral State. It is the starting point to Happiness. When you like to have something, you are either needing, wanting or desiring for it. Be clear about what you Need, then get them. This will make you not be Unhappy. Then focus your effort and time in getting what you Desire. Acquiring them will make you really Happy. Forget about all your "Wants". They can't make you very Happy or Unhappy!!! When I teach coaching, I always remind our participants not to give advises to clients. When I coach, I always remind myself not to give advises to my clients. Giving advises causes more problems than solutions. But I am a human being, and I make mistakes! No matter how careful I try to be, I still give an unwanted advise to my client recently. Actually, it is not an advise, but a small feedback on what I saw. An unwanted feedback is still an unwanted feedback. My Learning: Don't even think of giving advises, even being asked for!!! 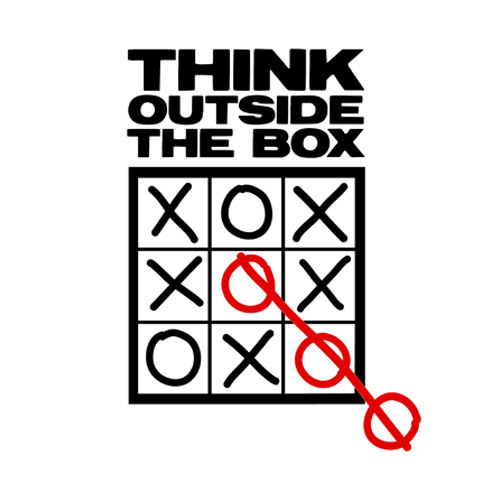 Creativity: Thinking out of Box?! Today is the Ideas-Lead Econnomy. You generate ideas. You then turn the ideas into products/services. Our business can't be Consumers-Lead. Consumers just do not know what they really want in today's rapid changing world. But where are the ideas? We thin, we search but we can't find them. One thing is sure is that the ideas are not in our heads! We just can't think of any great idea out of nothing. Ideas are everywhere around us, but we just can't see them. Because they are not in form of words. But we get used only to words. Everything around us are images. We can't see "Non-Words" ideas with a "Word" eyes. We need a different language to see these ideas - the Visual Language or using what I am going to say in my coming classes of the "Business By Design" Program, the Design Language. See everything around you in form of Point/Line/Face, Shape, Value (Intensity), Texture and Colours. Then you start to "see" the ideas!!! You are not going to avoid how the market see you. It is more important about how you see your own value. I am not talking about simply seeing yourself with high value. That is either 自欺欺人 or 自大. It is about whether you can see your true value and then enhancing it! Value is nothing about attitude. Attitude only affect one's making use of the things/people with value. No. You can NEVER increase your value by studying. By definition: Market Value = Benefits / Price. You can increase your Market Value either by providing more Benefits to Buyer or/and reducing your Price. I do both. Hope you find these answers useful. I try to work out some suggestions that are really effective, so that I can use them again and again. This is a typical example of the Systemic Hypnotherapy that I taught in the Final Retreat of the Master Hypnotherapist Class. For our Master Hypnotherpapist Graduates, you should notice why adding point 2 & 3 can make the original formula becoming more effective. Point 2 acts as a Positive Reinforcer while Point 3 acts as a Balancer to Point 1. I do this for years and I do benefited from them. Try them yourself!